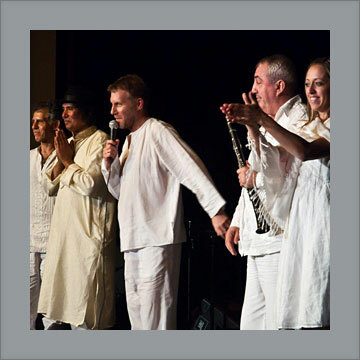 Formed in 1999, The Yuval Ron Ensemble endeavors to alleviate national, racial, religious and cultural divides by uniting the music and dance of the opposing people of the Middle East into a unique mystical, spiritual and inspiring musical celebration. 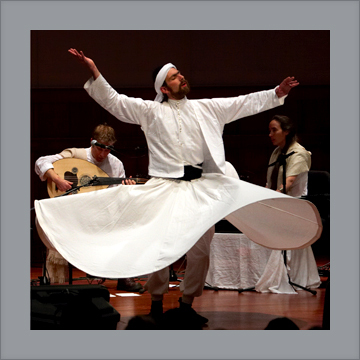 The ensemble includes Jewish and Arabic musicians as well as Christian artists who have been actively involved in creating musical bridges between people of various faiths and ethnic groups worldwide. Led by Oscar winning composer Yuval Ron (music for West Bank Story) the Ensemble has enjoyed overwhelming community support and was chosen to be featured in PBS Holiday Celebration TV specials in 2005 and 2006 and was honored with the Los Angeles Treasures Award in 2004. 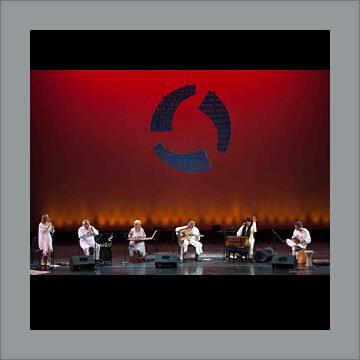 The Yuval Ron Ensemble Cd's Under The Olive Tree, Tree of Life and Seeker of Truth have become international favorites with world music lovers and has been featured on National Public Radio’s Echoes and Hearts of Space programs. The Yuval Ron Ensemble was in residencies at numerous schools such as Yale University, John Hopkins University, UCLA, Seattle University andMiddlebury College and has performed numerous benefit concerts to support organizations that promote peace and help the disadvantaged. The Yuval Ron Ensemble's poetry, melodies, rhythms and movements transcend political, linguistic and religious divisions. Ron is a master storyteller, whose soft-spoken sincerity and insights promote human solidarity, serving as a powerful antidote to our pessimism and cynicism. By the end of the concert, the audience once again believes in the possibilities for peace and friendship among Muslims, Christians and Jews. Yuval Ron Ensemble, a world-class group... had a big impact on our community in a variety of ways, they are an inspiring, challenging, and memorable group. The Yuval Ron Ensemble seamlessly blends extraordinary musical achievement with vivid storytelling. 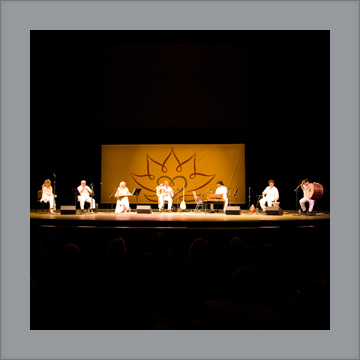 I was greatly impressed by their ability to capture the musical traditions, the history, and the many cultures of the Middle East within the universal message of peace, while being artistically stimulating and emotionally moving. Their genuine desire to have meaningful interaction with the audience was truly refreshing, whether during the show, afterward, or even over a casual cup of coffee the next day. I know they made a lot of people happy in Eugene.